Advertising marries the creative and strategic. It inspires bright leaders to successfully deliver their message in ways you wouldn’t expect. You take in the world around you to find the best selling point and reel in those that want to buy it. An advertising major prepares you for careers in media planning, advertising copywriting and social media strategy. You just need to find the schools with quality faculty, structured programs and generate awards that reflect the department’s success. Don’t forget to gain industry experience at the best colleges for advertising before you head off to join an impressive agency or start your own. 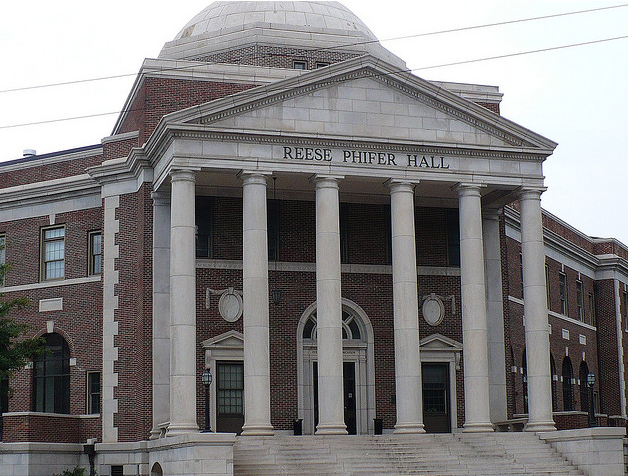 Get ready to make an impression at the 10 best colleges for advertising. Want to intern for companies like The Integer Group, Strategic America, The Meyocks Group, Olson and the American Advertising Federation (AAF)? If you answer yes (and you should), head to Drake University. Professors like Sandy Henry push their students to strive for the best in the advertising field. And it shows: Henry’s students have won American Advertising Awards and the Broadcast Education Association International Festival of Media Arts Best of Festival Award. In their senior year, Drake students collaborate with one another to create a multimedia campaign and then present it to real world clients. When students show up for interviews, they can feel confident that they gained the experience and portfolio they need to succeed from Drake. Pete Jones, Senior Vice President and Group Creative Director of McCann-Erickson, New York (you know, the world’s largest advertising agency network), started his advertising career at the Klein College of Media and Communication as an advertising student. Interested in jumping into the professional advertising world, but not sure if you can take the leap? Diamond Edge Communications (DEC) gives students real world experience before graduation. This student-run advertising agency produces real work to present to clients like the U.S. Department of State, Aramark and the Mitzvah Circle Foundation. Students can concentrate their studies in Account Management, Art Direction, Copywriting or Media Planning. Classes like Personal Branding help them discover their brand identity. Narrative and Multimedia encourages students to focus on thinking creatively, cleverly and unconventionally. This year, Temple students placed second in the National Student Advertising Competition. Temple prepares aspiring advertisers to win awards for their impressive work. The advertising faculty at UA continually produces recognized award-winning work. UA’s Division of Strategic Communications in 2018 created the campaign “Where Legends Are Made” and won six awards at the American Advertising Federation Competition, including Overall Best of Show. J’Cee Hyatt found her love of advertising at UA and is now a research associate for the Nissan Division at Zimmerman Advertising. 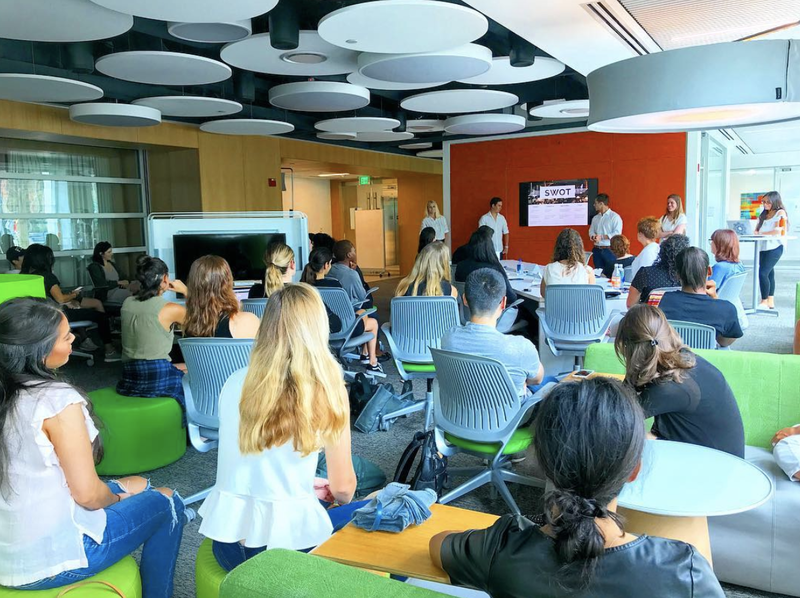 UA advertising students take classes like Strategic Thinking and Investigation and Insights, teaching them the skills they need to conduct research to measure program needs, develop program objectives and strategies and develop the tools to measure a program’s return on investment. You’ll find it easy to grow and understand the advertising industry here at UA. Become part of a legacy at the University of Illinois. Students get insight from professors like Steven Hall, who received the American Advertising Federation (AAF) Distinguished Teaching Award in 2015 and Michelle Nelson, the President Elect of the American Academy of Advertising (AAA). Your four years build on one another in order to prepare you for the industry. Year one will expose you to the advertising industry. Year two you learn the tools of the industry. Year three allows you to apply the tools you learned to solve real world problems in advertising. And in year four, you dedicate yourself to one area of specialization, like advertising research methods. University of Illinois students will find this method very promising; three students from the College of Media Class of 2017 were named American Advertising Federation’s Most Promising Multicultural Students. Students who love advertising and technology can opt to earn a Bachelor’s of Science in Computer Science and Advertising. Become a part of one of the largest and oldest advertising departments at Michigan State University. In its 60-year run, MSU’s advertising alumni have graduated and made names for themselves, like Quicken Loans CMO Carey Hubris, Ally CMO Andrea Brimmer and Mercedes-Benz digital consultant Elizabeth Johnson (also reigning Miss Michigan USA). MSU’s advertising faculty is 35 strong. 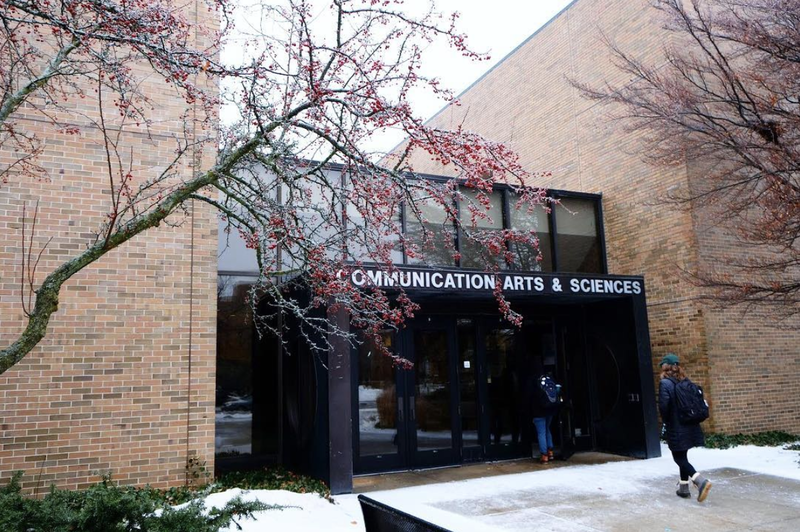 “Our program is probably the only program in the country — and perhaps the only one in the world—to offer separate degrees in the Management side of the industry and the Creative side,” said Jeff Richards, Professor and Chair of MSU’s Department of Advertising and Public Relations. ComArtSci stays ahead of the advertising industry; it was the first university to offer a minor in Advertising Analytics. As a research university, the advertising faculty generate new knowledge rather than teach what we already know. Students can access the Media and Advertising Psychology Lab (MAP Lab) to research health communication, advertising, retailing and media multitasking. The MAP Lab focuses biopsychological effects of media on the mind and body using indicators like eye-tracking measures. Newhouse’s track record speaks for itself: students won 127 awards in 2017-2018 alone, including the Cannes Future Lion. Only five of these awards are given worldwide. Students don’t even need to leave campus to find real-world experience. Instead, they apply for a position as an account manager, strategist or creative at The NewHouse at Syracuse University. TNH, the largest student–run agency in the nation, structures itself after the professional agencies you see in the real world. The Executive Board overlooks the needs of clients and appropriately assigns students positions that meets the clients’ objectives. Back in the classroom, students become big thinkers and advertising leaders with classes like Advertising Practice in a Diverse Society. Advertising students choose an emphasis in topics like web advertising, integrated media planning or even advertising for social and political causes, to make sure they feel prepared for their dream career in the ad world. And they land those dream jobs: Newhouse advertising alumni include Google’s Director of Retail Lori Sobel, DC Entertainment President Diane Nelson and G100 Companies Partner Deb Henretta. Welcome to the doghouse. Advertising pros like Maxine Clark, the creator and founder of Build-A-Bear Workshop, Tim Mapes, the CMO of Delta and winner of the brand genius award, and Lisa Ryan Howard, of Advertising for The New York Times, kickstarted started their careers at UGA. Grady College’s advertising curriculum touches on all areas of advertising, molding well-rounded advertisers and giving them experiential learning opportunities. Student resources like graphic design labs, copy writing labs and a unique social media listening lab let students learn how to operate social media analytics. “We are opening our new VERGE Lab (Virtual Reality and Gaming Technology Lab.) The lab will have 15 stations for students to work with. Many of our students also earn certificates from our New Media Institute which gives them hands-on experience with programming and developing digital communication products,” said New Media Professor Karen King. 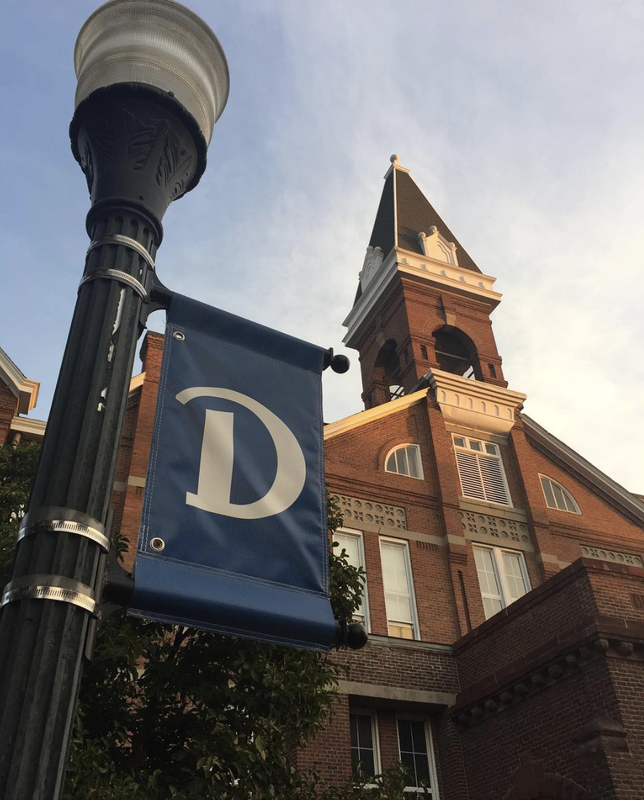 Advertising classes incorporate hands-on components that allow students to work on ad campaigns for clients like Coke, eBay, Delta and Zaxby’s. Everything’s big in Texas, including UT-Austin’s advertising program. Unique to the nation, UT’s Moody College of Communication offers Master’s and Ph.D. programs specifically in advertising. Plus, by the time you graduate with your bachelor’s, your understanding of the structure, methods and solutions in advertising probably exceeds your competition. Following the motto “Theory x Practice,” UT students begin building their portfolio early on and apply the skills they learn into creating the next best campaign for companies like Longhorn. The Texas Creative Program produces some of the greatest copywriters and art directors that advertising agencies around the world want on their team. Just ask the two Texas Creative student teams that won Campaign Gold and Campaign Silver at the ADDY Awards, a huge and representative completion of over 35,000 competing students and professionals that awards creative spirit of excellence in advertising. Remember the hilarious Tide Pod commercial from the 2018 Super Bowl? It won seven Lions Awards at the Cannes Lions International Festival of Creativity. And UM advertising alumnus Erin Evon was part of that winning team. UMiami’s School of Communication continually reevaluates itself to match the ever–evolving industry. And student experience isn’t limited to the classroom. Students work with clients like Airbnb, Bobby’s Burger Palace, Pasion Del Cielo and Miami’s Brickell City Centre. Students choose to specialize in advertising creative or advertising management. And with an improved advertising management curriculum coming soon, they also learn the business side to advertising with a specialization in strategy and research, management or media. Then they practice their skills on state-of-the-art television, video, editing and AV equipment for creative products. Hands-on and skill-based classes, like Advanced Creative Development, encourage students to work in pairs: one copywriter and one art director. Then they create competitive and award-winning work that gets featured on One Show and the ADDYs. And UM students don’t just compete, they win. They placed first in the district in five of the past eight years, and won the National Championship in 2011 and 2013. When you think about “the man your man can smell like,” you think Old Spice. Jason Bagley, the creative director behind the commercial concept, graduated with a Bachelor’s in Advertising from BYU. It’s one thing for a school to call themselves great and another thing when the industry reflects back on their hard work and dedication. And that shows at BYU. BYU offers academic experiences that train students in deep research and allow them to gain a greater understanding of strategy and methods in advertising. “We try to strike a balance between the academic rigor you want to see in a great university education program, but also with the practical experience that comes with trying to create immersion in the industry,” said BYU Advertising Associate Teaching Professor Jeff Sheets. Students can access social media analytical resources, like BuzzSumo. BYU students have won strategy competitions, the national Best of Show at the ADDYs in 2017, and 2018 and the international ANDY for Best of Show (three of the finalist were BYU students) among the dozens of others. “Much of our projects now are companies coming to us which has been very successful,” said Kevin Kelly, an associate teaching professor in the Communications Department at BYU. 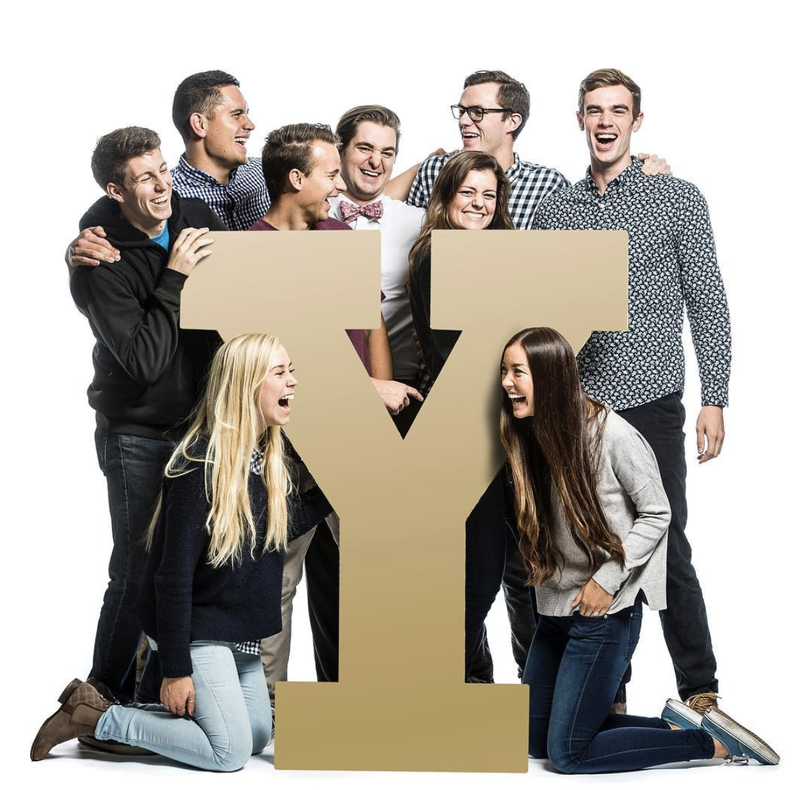 The BYU advertising lab, a student-run and professionally-mentored agency, allows students to work hand-in-hand with ad agencies and their big name clients like Nike, Amazon, Airbnb and Microsoft. Faculty encourage their students to implement the teachings and theories learned in class and apply them to real world clients and campaigns. BYU has everything you need to make a name for yourself in the industry.